These days, bird-watchers will go to great lengths just to study their subjects in order to simply photograph and describe the animals. Others have dedicated their lives to the ecology, physiology, anatomy, and biology of the world’s bird populations. Regardless of their intentions, birders are always on the lookout for any place where their subjects may be waiting to be spotted, photographed, and described. 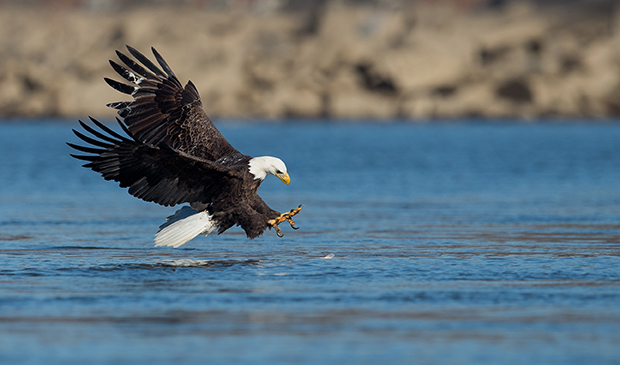 An emblem of the United States since 1782, the oldest recorded bald eagle was at least 38. The bird’s long life-span and its ability to explore vast territories make it fairly simple for enthusiasts to track them down, especially during the winter. 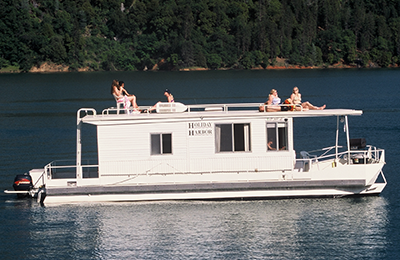 Taking advantage of the quiet, wooded hiking trails along the shoreline or utilizing the amenities offered by houseboat rentals will also surely increase your chances of spotting our nation’s national bird. Also known for its need to be near a water source, the purple martin relies on lakes and rivers for their main food source of insects. In addition, these birds can be spotted skimming the surfaces and scooping the water up with their lower bills. Boating enthusiasts, campers, and other vacationers are most likely to find these large swallows roosted together in the late summer. Large numbers of these birds can also be spotted leaving the roost during the early morning hours. Slender with long, pointed tails, the long-tailed jaeger is a seabird just larger than an average crow. Known for spending much of the year on the open ocean, they have been known to frequent large lakes as well. Soaring fairly high, anyone has the chance to spot a purple martin if they watch for a buoyant bird with light wingbeats and remember that only breeding adults have the very long central tail feathers. The great blue heron is possibly the easiest of western bird species to spot. Standing at 4 feet high with a 6-foot wingspan, these blue-grey birds will be found standing motionless as they scan for prey. This massive bird’s favorite diet of fish, crayfish, and frogs draws them to the edges of lakes and streams. Due to improved night-vision, blue herons can hunt day and night, making them that much easier for any lake-goer to catch a glimpse. The only hawk that dives into the water to catch prey, the osprey is also known as the “fish hawk”. The large size and preferred nesting spots in exposed sites of these birds make them visible around lakes during the summer months. In addition, ospreys are well-acclimated to humans and the vantage point afforded by the use of rafts and houseboat rentals make them especially visible. You may even get to witness the theft of this guy’s dinner by the aforementioned bald eagle. Bird watching offers more than just beautiful sights. The educational experiences offered by simply viewing our feathered neighbors in their natural and wild habitats can be enjoyed by every member of the family. The folks who choose to vacation on or near a large lake will not be disappointed by the abundant bird population they to be found hiding in the dense forests along the shoreline.